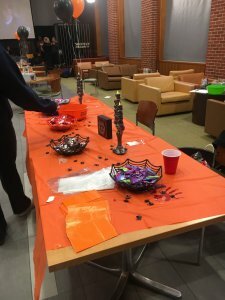 Held the week before Halloween, “Fels of Screams” is the annual “fright fest” hosted by Fels Student Center managers and the students who work in the building. Everything from the set-up to the acting is done by Nichols students. “Fels of Screams was a very successful event in my eyes with even the amount of people that showed up and participated it ran well,” said Brandon Teixeira, a Fels student manager and junior sports management major from Stoughton, Mass. The idea for Fels of Screams originated from Nichols graduate Jamiel Ali ‘16. As students go through the four different themes in a “spook walk,” they are led by a tour guide who works at Fels. The first attraction they walk through—at their own risk—is the basement of Fels. This is where “The Purge” (based on the movie) takes place. Here, guests are followed by creepy people in various masks as they walk up to the first floor. “This floor was my favorite to work on, because it was nice to see all my friends participate and help out but also have a good time,” Teixeira said. 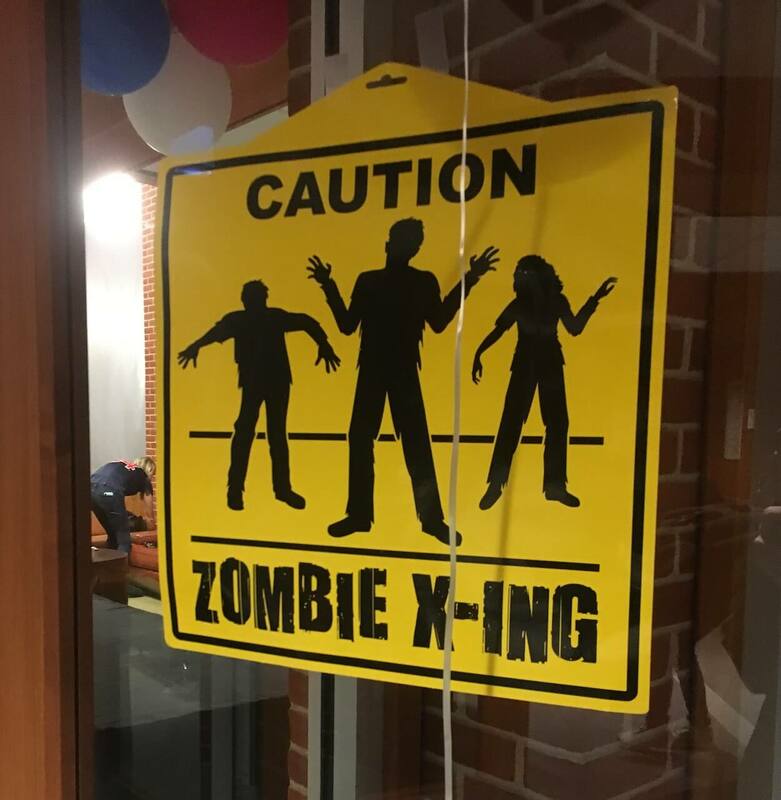 The second attraction students walked through was “The Zombie Exhibit” in Jazzman’s Café. After that, they were taken up to the second floor, which was transformed into “The Butcher’s Layer.” After zipping through to parts that wanted to eat them and strobe lights creating daunting effects to their eyes, students were brought to the final feature: the clowns. The clown floor was inspired by the movie and Stephen King novel “IT,” and even Pennywise stopped by toward the end to say hello. “Some students were actually scared and screaming, which was good because that means we executed the event well,” Teixeira said. Planning Fels of Screams is not easy, and it requires lots of organization. Campus Life, Events, Students Fels Student Center, Halloween, Students. permalink.